If you are Calvin, please join here and update your profile! Calvin Owens was born in 1958. Calvin currently lives in Chattanooga, Tennessee. Before that, he lived in March Afb, CA from 1986 to 1994. Before that, he lived in Orlando, FL from 1999 to 2001. 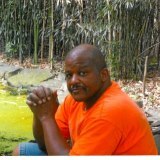 Calvin Owens attended Kirkman Technical High School in Chattanooga, TN and graduated class of 1976. After high school, he went to Univ Of Alaska, Anchorage in Anchorage, AK. he attended college from 1977 to 1978. He majored in Military.